Google really wants to be taken seriously as a hardware company. 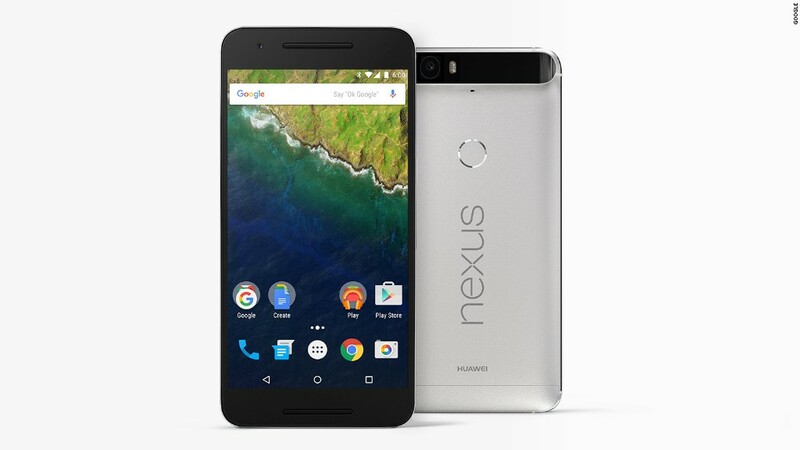 The company unveiled new Nexus 6P and Nexus 5X smartphones on Tuesday. 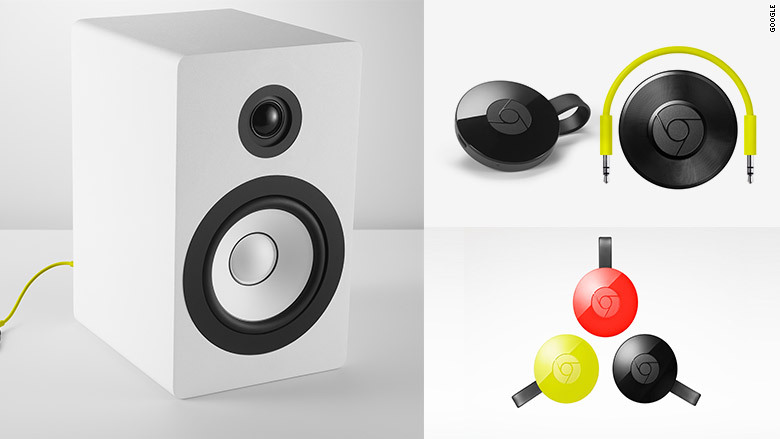 Google (GOOG) also announced a brand new device called Chromecast Audio, an updated Chromecast stick and a launch date for Android Marshmallow. Earlier this month, Apple (AAPL) announced new iPhones and the Apple TV, and Amazon (AMZN) updated its line of tablets and TV streaming devices. Google has decided to join the fun by lumping its device upgrades into one big fall event for the first time. It's a signal that hardware isn't just a side project for the company, but something it's throwing its weight behind. According to Product Chief Sundar Pichai, there are now 1.4 billion active Android users. The latest version of Android, Marshmallow, will start rolling out next week to older Nexus devices and to other Android hardware after that. Since it first debuted in 2010, the Nexus line has been Google's showcase for its mobile operating system. The phones run an unsullied version of Android (they'll ship with Marshmallow), one not yet bogged down by bloatware or otherwise altered by carriers and manufacturers. Made by Huawei, the 5.7-inch phone also has the big camera, new USB-C port and a speedy fingerprint sensor, interestingly located on the back of the phone. The 6P is powered by a Qualcomm Snapdragon 810 processor and costs $499 to start. Smaller, $120 cheaper, and with some pared-down specs, the new Nexus 5X is an updated version of the Nexus 5. It is made by LG and has a lot of the same big features as the 6P, including the powerful camera and USB-C port. It starts at $379. Both phones are available to pre-order in Google's online store. The Nexus line hasn't exactly been a big success for Google. The company admitted to a drop in hardware sales, specifically for Nexus devices, in an earnings report earlier this year. Instead of dialing back its efforts, Google is pushing even harder. Perhaps it hopes a quality unlocked smartphone will look more appealing to customers now that carriers are dropping subsidized devices and two-year contracts. An unassuming little stick that lets you stream videos to your TV, the Chromecast has been well received since it launched two years ago. Google sold more than 20 million of the devices globally. The new Chromecast is no longer a stick, but a disk that dangles from the HDMI port. It comes in new colors, though you probably won't see them when it's plugged into the back of your TV. Google says it also improves streaming quality for higher-resolution videos. There are new Chromecast apps including Showtime, NFL Sunday Ticket and CW Seed. Streaming TV is turning into a major battleground for the big tech companies. Amazon and Roku also make streaming sticks in addition to boxes. Apple has stuck with its box design and recently announced a new version of its Apple TV device. Perhaps the most fun announcement was an entirely new piece of hardware. The Chromecast Audio is pretty much what the name suggests. The $35 doohickey plugs into the AUX input (that's the headphone jack) on any speaker and turns it into a wifi-enabled streaming music device. A new Chromecast Spotify app sweetens the deal. Microsoft (MSFT) must have been onto something when it popped its Surface tablet onto a magnetic keyboard. Apple followed suit, and now Google has a similar design with its latest Chromebook, the Pixel C. The C stands for convertible, and it can work as a tablet or laptop. The 10-inch Android device starts at $499, plus an additional $149 if you want the keyboard. Later this year, Google Photos users will get shared albums, which let other people subscribe and contribute to your collections. The face recognition feature now allows you to name the people in your photos, so you can search for "Aimee." And if you want to enjoy all your photos on your TV, you can now stream Google Photos to the Chromecast.